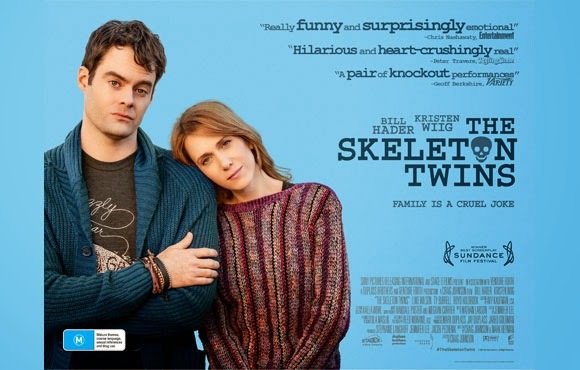 The Skeleton Twins (2014) is an American Drama movie based on the life of a brother and sister who are twins and happens to be out of touch of each other for more than 10 years. Kristen Wiig and Bill Hader has played the role of the twins. The movie showcases their life as it happens and how they reach the point when they decide to die because of loneliness in their lives. Luke Wilson and Ty Burell has also played the love interests of the twins. The movie is a lighthearted comedy also because Bill Hader brought a lot of fun in his character. He has acted very well and keeps audience glued to their seats. Kristen Wiig has been choosing several movies which showcases many problems related to loneliness in various relationships. It's true that you need someone to share your lives with all the time. Someone who understands you and won't judge you even after knowing all your secrets. The one who has your best interest in his mind and will make sure you get what you deserve. We all have been in search of such companion or friends all our lives. The movie is definitely one time watch if you are also looking to mend that bridge between someone you love and have been out of touch for so long. Go for it, your heart knows the truth and do it before it's too late. Movie is releasing in Ster Kinekor on 28th Nov 2014. Book your tickets now. More info on twitter and facebook. Check facebook page of Sony Movies SA & their twitter handle also.